Robert Barron is a widower and night-shift janitor. Still grieving the loss of his wife, the 52-year old cares only about his grown daughter, Anika, and wants to keep the rest of his life as free of stress as possible. And that’s why he traded in the corporate life in favor of cleaning office buildings. With little to no professional ambition left, Rob just wants to live in peace and enjoy as much time with his daughter as he can. Unfortunately for Rob, unseen forces have other plans for him. And the night-shift janitor finds himself running (and defending) a kingdom! 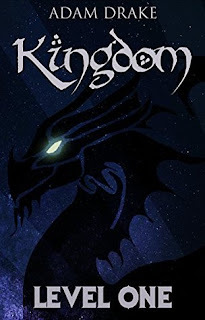 Simple and straightforward, Adam Drake’s Kingdom series is yet another contribution to the increasingly popular LitRPG genre (aka GameLit genre). A subset of fantasy and science fiction, LitRPG is all about following a character or set of characters as they progress through a virtual reality game setting. Drake’s Kingdom series isn’t as heavy into the game mechanics as some other LitRPG novels, and his stories are much shorter. I've been able to zoom through each book of the series (at least those thus far released) rather quickly. While not necessarily superficial, the Kingdom series is not deep. The stories are straightforward. Most of it is hack-and-slash with some hand-wringing and angst thrown in for good measure. The books could also use some additional editing. There were several typographical errors and spelling issues. But the premise is compelling (if highly unbelievable) and I do care about the main character. And that’s what has kept me going through this series. Most LitRPG stories follow a young protagonist who is a talented, experienced gamer in real life. Not so with Kingdom. Drake’s protagonist, Rob, is older and much less experienced as a gamer. And this is seen numerous times as Rob makes quite a few rookie mistakes. This is not a Christian fantasy series. That of course is no problem for many of my readers, but since a large portion of my reading audience identifies as Christian, I feel I should point this out. That Kingdom isn’t Christian is made clear by the language, by an early description of the main character’s attitude toward religion, and by the polytheistic nature of the game world. And while the latter would normally be taken with a grain of salt (we are talking about fantasy after all), the premise of the series itself is still not fully defined - at least not so far. Is the game world real? Is it man made? It’s clearly a game, given its mechanics, but it somehow is more than just a game. For one, it had the ability – via its “gods” – to reach into the real world and abduct Rob. For my own part, I can easily suspend disbelief and not take fantasy stories like this seriously. But some of my Christian readers may have a different perspective. Aside from a little language, though, the stories are fairly clean. Some have criticized Drake's Kingdom books for being "hack writing" (and I'm sure some litrpg / gamelit aficionados will criticize me for including it on this list), but the truth is.... I've enjoyed this series despite Kingdom‘s shortcomings. I've read all four parts (Levels 1-4) so far, and can't wait until Kingdom: Level Five. And I’m looking forward to the next installment. 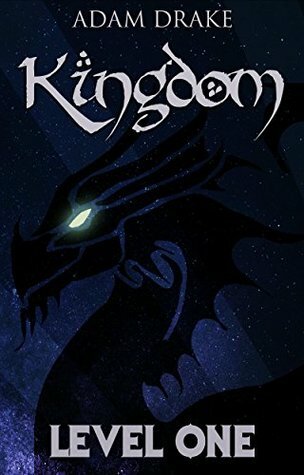 If you’re a part of Kindle Unlimited and like LitRPG, I encourage you to give the Kingdom series a try. Brian Tubbs writes both fiction and non-fiction. 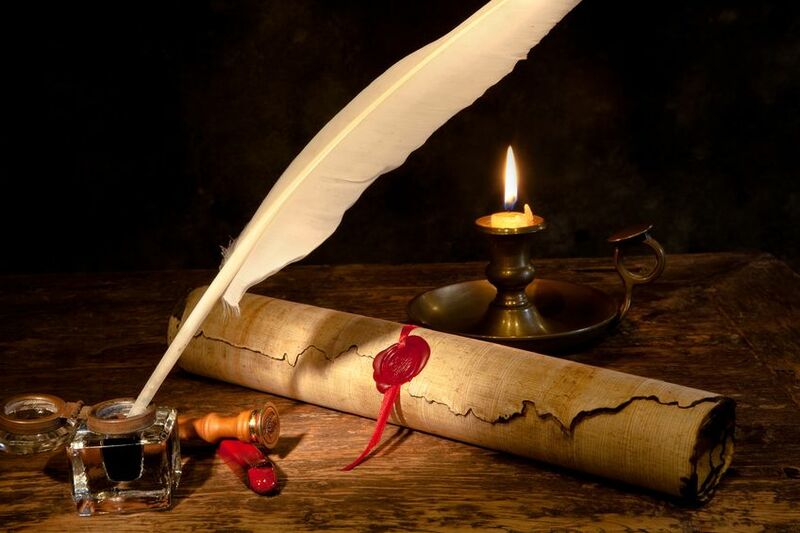 He speaks, writes, and blogs regularly on faith and spirituality, history, personal development, religious freedom, freedom of speech, and science fiction and fantasy (including the increasingly popular gamelit / litrpg genre). He is married with two children (one adult and one teenager).